I have never been a big fan of fried cheese-sticks, but after having some pretty decent ones at Sonic the other day, I noticed that Burger King also sells them…so why not give them a try? Turns out, they are not bad either. I had to wait for them to be made fresh – which for me isn’t a big deal – I like fresh-from-the-fryer stuff. It was a three-piece and a side of sauce. The coating on the outside was crisp and a bit of a crunch. Tender and stringy cheese inside keeping me interested as I dipped into a pretty decent marinara. I think it was 1.99 – so not too shabby for a quick snack. 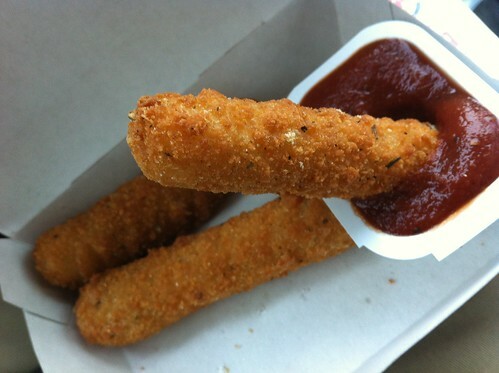 Maybe I do like cheese-sticks and just didn’t know it?